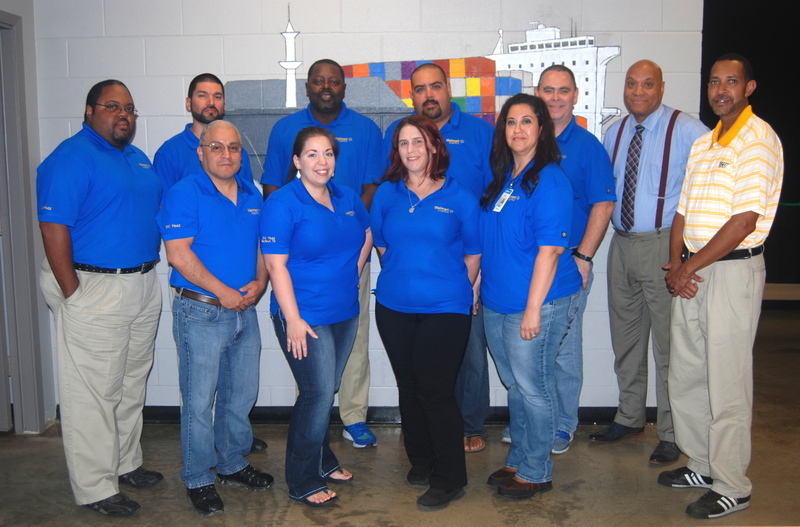 Lee College has partnered with Walmart to offer a customized logistics training program for managers at the company’s Baytown distribution center to improve their on-the-job skills and strengthen knowledge of what it means to be a logistics professional. Back row, from left: Donald Martin; Sergio Rangel; Kevin Ross; Pablo Reyes; Daniel Rexford, Logistics Program coordinator; and instructors Keith Coleman and Cornell Greene. Front: Jerry Duarte, Tatiana Mack, Amanda Erne, and Stacy Tucker. 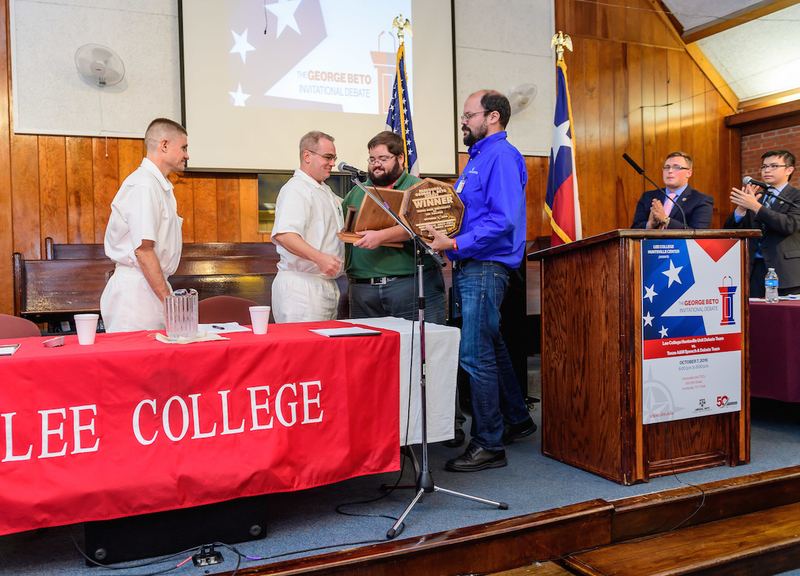 BAYTOWN, TX — Daniel Rexford had been out of school for more than 20 years when he learned the Lee College Logistics Program was offering a training course specifically designed for him and his fellow managers at the Walmart Distribution Center in Baytown. The company would provide support to help established and up-and-coming leaders keep up with their full-time work while taking advantage of the new opportunity. Within weeks of enrolling in the class, Rexford had more advanced knowledge of how rail, air, maritime, warehousing and e-commerce are used to meet key business objectives. He knew the importance of accounting for weather, vibration and other factors when getting a product from one point to another. He started looking at ways to optimize how freight was handled at the distribution center. 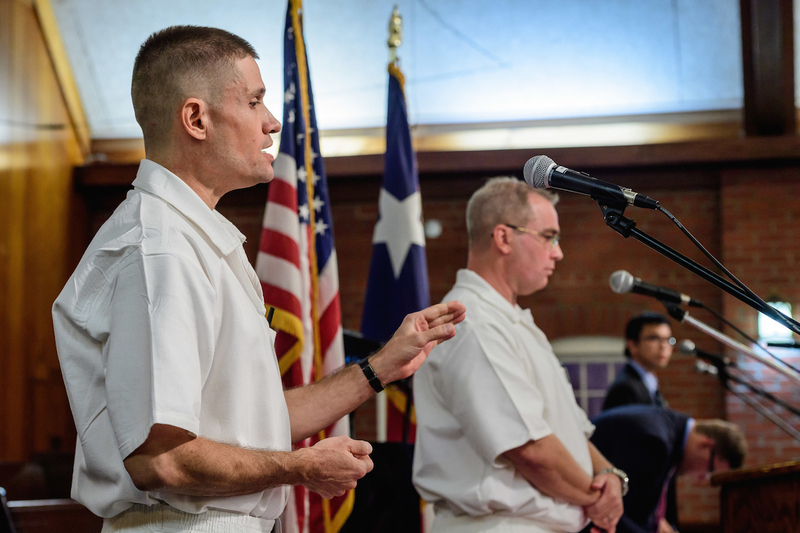 He began to make plans to complete an Associate of Applied Science degree in logistics and supply chain technology at Lee College, and he persuaded his son to sign up for the training course and pursue a degree, too. It’s the primary lesson that Keith Coleman, director of the Lee College logistics program, intended to impart to his students when he designed and launched the Walmart training course: logistics encompasses a broad spectrum of transportation, storage and distribution activities that companies use to move products as cheaply and quickly as possible. With the development and implementation of new technologies, like drones and driverless vehicles, successful logistics professionals will need the vision and understanding to think beyond the traditional. “In the military, the faster and more effectively you can move things, the more lives are saved. In the business world, money is saved — but industry executives are not trained logisticians,” said Coleman, a retired U.S. Marine Corps officer who has overseen steady growth of the logistics program at Lee College and will soon open a full-scale Logistics Training Center on campus. In addition to technical knowledge, the logistics training for Walmart managers also aims to help strengthen leadership and communication skills. Coleman frequently assigns role-playing exercises that simulate a wide range of on-the-job scenarios between supervisors and employees, as well as presentations that require students to dress professionally and practice public speaking. Many say their confidence and ability to guide and instruct others have improved as a result. For Amanda Erne, getting back into the classroom for logistics training at Lee College made her realize that seeking additional education was long overdue. The encouragement from Walmart and camaraderie she and her colleagues in the program have built made returning to college less intimidating and more rewarding than she expected. BAYTOWN, TX — Imagine a place where tweed jackets, black-rimmed glasses and excitement for learning abound. 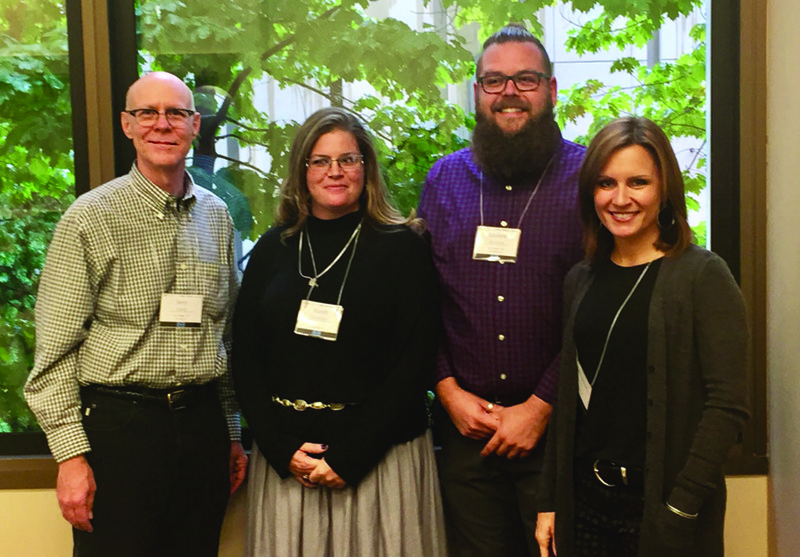 Three Lee College faculty members and two Honors Program students immersed themselves in this culture of ideas during the 51st annual National Collegiate Honors Council Conference held this month in Seattle, Washington. After earning selection from hundreds of applicants at colleges and universities across the country, a group of faculty and students from the Lee College Honors Program presented research at the National Collegiate Honors Council Conference held Oct. 12-16, 2016, in Seattle, Washington. Pictured (l-r): Instructor Jerry Hamby, students Mandy Ray and Drew MacKenzie, and instructor and Honors Program coordinator Georgeann Ward. Instructors Georgeann Ward and Jerry Hamby, along with former students Drew MacKenzie and Mandy Ray, were invited to present a session on a unit that Ward and Hamby teach in the unique Honors course, “The Human Condition.” The seminar-style class combines the disciplines of English and Humanities, emphasizing open discussion and encouraging students to ask bold questions and engage in critical thinking about the world in which they live. The Lee College group — which also included instructor and conference attendee Dr. Portia Hopkins — was selected to present from hundreds of applicants at colleges and universities around the country. Hamby and Ward discussed the pedagogical and logistic aspects of using experiential learning in their class, while MacKenzie and Ray discussed its impact on students. A first-time participant in the conference, Hamby was most impressed by how well established and accomplished the Lee College Honors Program is in comparison to many other schools. MacKenzie shared similar sentiments after reflecting on his experience. 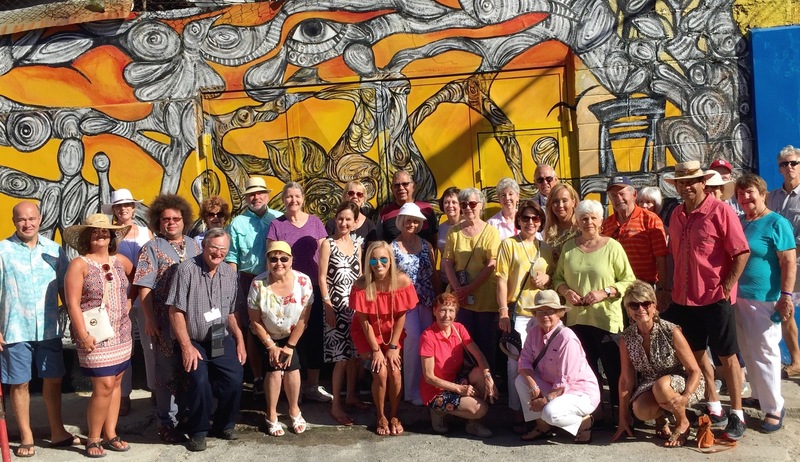 In addition to presenting their work to colleagues and peers, the Lee College faculty and students listened to a keynote address by award-winning author Sherman Alexie, visited museums, took walking tours of downtown Seattle and absorbed as much information as possible on their four-day trip. For more information about the opportunities available to students in the Lee College Honors Program, visit www.lee.edu/honors. BAYTOWN, TX – With the support and resources of Lee College and the mentorship and involvement of dedicated residents of historic Barrett Station, every student at Charles R. Drew Elementary School in the Crosby Independent School District has set their sights on achieving a new goal for the future: attending college and earning a degree. Lee College brought Rooty the Rebel, the Runnin’ Rebels Basketball Team, the Rebel Heat Dance Team and a host of faculty, staff and administrators to Charles R. Drew Elementary in Barrett Station for a pep rally to kick off the new “College Bound School” partnership. 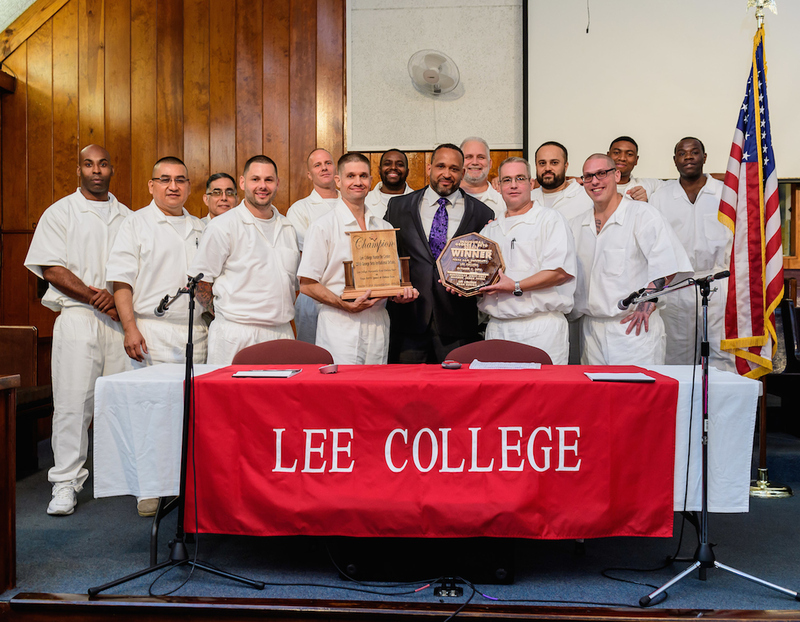 As part of the effort, Lee College will provide Drew with support and resources to help ensure every student goes to college and earns a degree. Lee College has adopted Drew Elementary as a “College Bound School” as part of the Cradle to Career Network, an ongoing effort to create a college-going culture for local youth by engaging all members of the community in providing wrap-around support as students transition into college – from schools and educators to non-profit organizations, health and human services agencies, business and industry, local government and residents at large. “Congratulations on being future college graduates! We stand together as a community committed to you, and you have to be committed to excellence in everything you do,” DeDe Griffith, Interim Vice President of Instruction, told hundreds of cheering Drew students at a recent pep rally held in their gym to kick off the new partnership between the college and elementary school. At the rally, Rooty the Rebel, the Runnin’ Rebels Basketball Team and the Rebel Heat dancers showed off dazzling dunks and delivered special performances. Crosby ISD Superintendent Keith Moore, Lee College President Dr. Dennis Brown and other administrators and faculty offered words of welcome and encouragement, and enthusiastic students – all clad in red T-shirts emblazoned with “Lee College” and “Future College Graduate” – raised their hands and voices to pledge to go to college. For the College Bound partnership, Lee College will provide Drew Elementary with regular programming and opportunities to help students and their families learn more about the value and importance of higher education. Students at every grade level will learn about science concepts from college faculty, and the Lee College Mobile Go Center – a 42-foot, air-conditioned trailer outfitted with high-speed Internet, satellite dishes, remote printers, laptops and LCD televisions – will visit the elementary campus each month. On board the center, students will learn about the wide variety of rewarding and interesting careers available to college graduates and have access to a library of more than 500 e-books on science, technology, engineering, art and mathematics. Parents at Drew Elementary will also be involved in the effort, participating in a common reading program and receiving guidance and information about how best to prepare their children for college success. As he looked at the sea of red tees and smiling faces at the pep rally kick-off, Jerry Bluitt realized he had come full circle. An alumnus of Drew Elementary who was instrumental in helping get the College Bound partnership in place, Bluitt retired from a 30-year career as an IBM engineer and returned to his native Barrett Station to help usher the historically African-American enclave into a brighter and better future. The program will help recreate the loving and unified family atmosphere he remembered and benefitted from as a child, he said.